Today is a very special day. No it is not Mothers' Day and no it isn't International Peanut Lovers' Day. 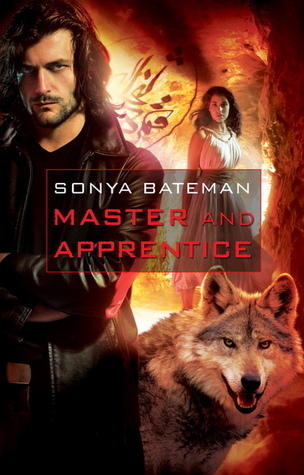 It is better, it's the release day of Master and Apprentice by Sonya Bateman ! *take a deep breath* *tone down the squeeing* *take a deep breath* Ok.. here it goes. But it's true. Master of None deserves all the praise! If you don't believe me, read this or this or this. It was a book I fell in love with in May 2010 and I'm still on Cloud 9 whenever I think about it, so of course you can imagine the excitement as I was counting back the days to today!! Finally the wait is over and Master and Apprentice is released into the world! Please give the warmest welcome to Sonya Bateman! First, I’d like to thank Stella for having me back on Ex Libris. I’m happy to be here! My new novel, Master and Apprentice, has just been released for sale. And since bookstore signings have been dying out for a while, and there appear to be a few less bookstores around than there used to be, I won’t have any book signings scheduled for this release. But since book signings can be interesting, I thought I’d bring part of the experience to the Internet. Following is a presentation of frequently asked questions at bookstore signings, and how I usually answer them. Q: Did you write this book? A: No. I just like the cover, so I took all the copies over here to this table that I happened to have in the trunk of my car. I’m going to build a tower out of them. Wanna help? Q: What’s this book about? A: Genies and stuff. And there’s a princess. I forget the rest. A: Zuul, Lord of the Underworld, whispers them directly into my brain. Q: Where’s the vampire section? I need a new copy of Twilight. Q: Why is there a dog on the cover? A: That’s Killer. He belongs to the cover artist, and I had to let him include the dog or he was going to put Donatti in a yellow dress with daisies on it. Q: I loved your first book. When’s the next one coming out? A: Head toward the Starbucks, hang a left at the Sci-Fi section, then straight past the magazines. Careful – the toilet in the second stall doesn’t flush right. Q: I’ve always wanted to meet a famous author. Do you think I could have your autograph? And there you have it: a typical bookstore signing. How I’ll miss them. To be honest, I don’t think it’s anyone’s fault that book signings usually turn out this way. It’s awkward for both readers and authors to try and talk to a person they’ve never met before about a subject they may or may not be familiar with. Face-to-face conversations with strangers are intimidating for a lot of people. That’s why I love the Internet. So, if you have any typical book signing questions for me – or any kind of question – feel free to leave a comment, and I’ll answer. I’ll even tell you where the bathroom is. 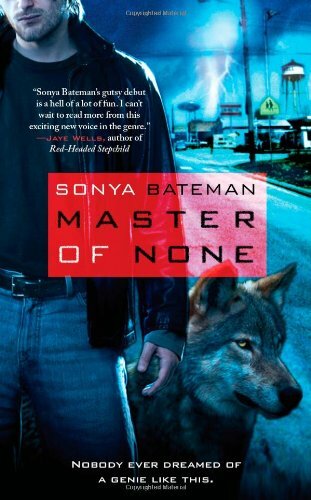 I love this series so much that I want you to discover it too, so I'll give away a copy of either Book#1 Master of None or Book#2 Master and Apprentice (winner's choice) to a lucky commentator. You MUST do all 3 to be eligible to be entered in the giveaway! Giveaway is international (anywhere the Book Depository ships) and ends Saturday 9 April 2011.